Some years ago I had the good fortune to hear a talk by author Craig McGregor in which he enthused about Australian vernacular architecture. I apologise if I do him any disservice now, but I took from his talk that vernacular architecture is a building style which reflects aspects of our perceived national character rather than being merely formal or functional, and as such is an essential and valuable part of our Australian identity. 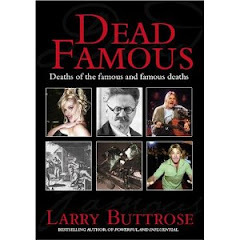 The slides of buildings he showed at night, to a gathering in a private home on the far north coast of NSW, were mainly of small buildings of iron and timber, older and contemporary structures which appeared to be part of a national tradition of simple liveable houses, but each with a loveable kink or two, like a jaunty tilt of a hat. Put plainly, our vernacular architecture is one with an Aussie accent. 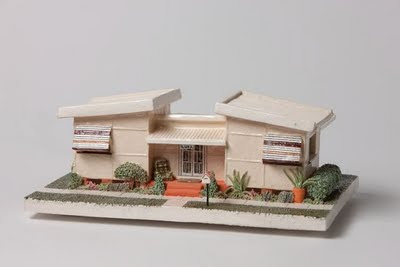 We might all argue about what that vernacular exactly is - and you could say to do that is itself an aspect of our national character - but there is little doubt about what it means when you see it, as in Fairlie Kingston’s marvellous ceramic miniatures of classic seaside homes. These are the places most of us went to on summer holidays away from the city, the charming little places by the sea, slightly eccentric and always fun, which often we came to enjoy more than then rather less charming places in the suburbs where we lived our lives for the rest of the year. 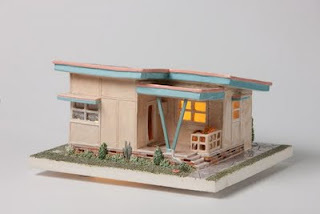 Kingston’s re-evocation of these post-war vernacular homes is a major element of her near sellout new show of recent ceramics at Australian Galleries in Sydney. To the eye, every detail is authentic, down to the gardens and the old armchair on the porch, and the amber glow emanating from within. Each has the warm colours of a hazy summer’s day by the sea in the 1950s or 60s. Even the price-tag is authentic to the bygone times, your own little home for $3950. 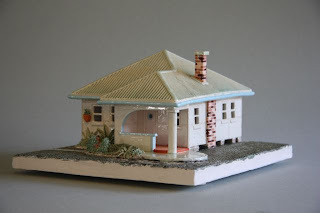 Self-taught, Kingston cut her artistic teeth back in the 1970s in Sydney’s famous Yellow House, along with other artists such as her brother Peter Kingston, and Martin Sharp. 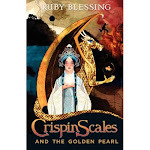 Her exhibition also includes vases, which in the past have been favourably compared to Margaret Preston, and more than two dozen painted ceramic reliefs, or tiles, which she needle-etches and underglazes in black and then rubs away, applies colours and glazes. Many of the tile reliefs depict iconic Sydney locations such as Bronte Pool, Camp Cove and Wylie’s Baths, and Parsley Bay. Kingston has lived most of her life at addresses within a stone’s throw of Sydney Harbour, and much of her work has reflected on its unique beauty. 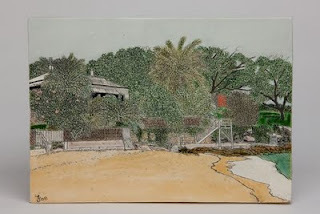 Like her brother Peter, who combines an affectionate view of Sydney with a pop sensibility, the tiles depict the beauty of the often almost preternaturally lush natural as well the built environment of Sydney, with a loving eye. “Sydney's beautiful environment makes it easy to choose my subjects, but sadly many of the things I hold dear are under threat. Ironically, the beauty of the Harbour which makes Sydney so special also contributes to its architectural demise. 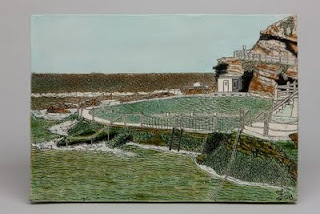 The value of a water view has a fatal attraction for the ‘knock-down crowd’ and sadly, many of my ceramic reliefs have become historic as their subjects no longer exist,” she says. 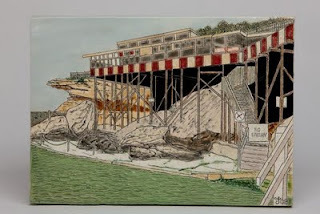 It is part of the joy of this show that even as the wrecker’s ball demolishes ever more of the seaside homes our grandparents and parents built, for the barren new terrain of concrete “Tuscan” villas that now line our esplanades, the vernacular lives on at least in spirit, in the ceramic homes that Fairlie built. The exhibition runs until 3 October at at Australian Galleries in Glenmore Road Paddington.